District 7 was formed in 2011 as a pop-punk band, steadily growing into one of the most upcoming young bands in Luxembourg. 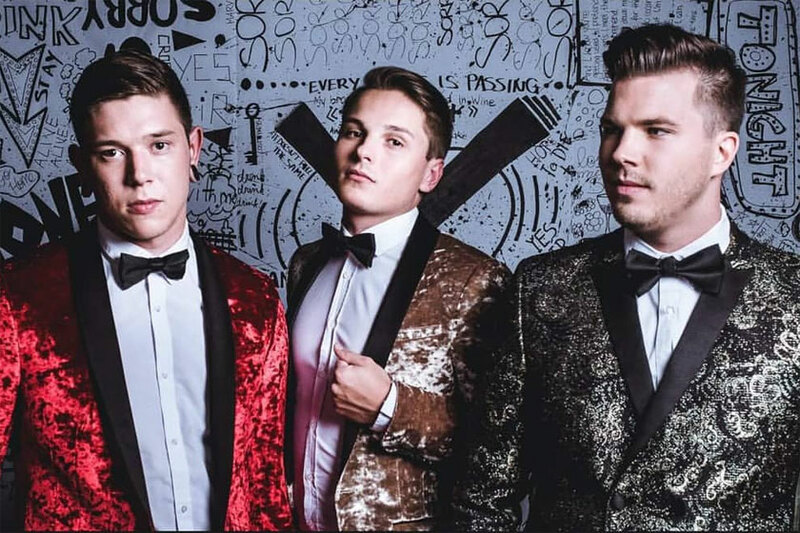 The band played countless shows, among which the Food For Your Senses Festival (LU) in 2014, Zikametz Festival (Fr) in 2015, the sold-out support slot for Simple Plan at Den Atelier in 2015 and the gig at Eurosonic Noorderslag in 2018 were the important turning points of its career. After the release of their first EP “Brave New World”, District 7 won major prices at Rockhal’s Screaming Fields competition (Best Live Performance – 2013, Best Composition – 2014, Best Song – 2016, Rocklab Coup de Coeur – 2016). In 2017, the band released their second EP “The Place We Used To Call Home” (produced in Portugal by Vasco Ramos) and represented Luxembourg in the Greater Region’s “Multipistes” program. While the band was mainly focussed on playing pop-punk for the first four years, 2016 marked an important step in the musical evolution of the group. In February 2016, the band went to London to record 2 singles with producer Brett Shaw (Florence and the Machine, Clean Bandit, Daughter. In that very same year, the band produced its second EP with Vasco Ramos, further refining the sound and attitude of the band. The work with internationally acclaimed professionals changed the mood and style of District 7, drifting away from the punk genre and embracing a more pop-oriented alternative sound with punk roots. The general mood of the songs became more mature and detached from hindering elements. What remains are driving guitars, exploding drums, an electrifying, fast-paced live-performance and a trio that is ready to take their sound to the stages of Europe and beyond.